BANGI, 19 Sept 2012 – An Education system should take into account a nation’s diversity in learning experience where student diversity include individual and group differences in culture, ethnicity as well as gender. Distinguished Professor Datuk Dr Shamsul Amri Baharuddin of The National University of Malaya (UKM) said the presence of various dimensions of diversity including the socio-economically disadvantaged, English language learners and students with disabilities also needed to be considered. Delivering his keynote address at the opening of a two-day third International Conference on Learner Diversity (ICLD) at UKM here today, he said diversity continues to be a constant feature in most parts of the world and is well observed in multicultural Malaysia. The conference attracted some 30 participants from Asia, Europe, Africa and the Americas. 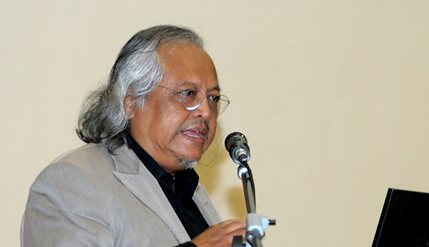 Prof Shamsul, who is Director of the Institute of Ethnic Studies (KITA) said such diversities had brought new horizons for the world communities to understand and respond to the differences. Thus learner diversity is the study of how best to deal with the vast differences of the type of students in any given population. He also noted that the trend for female students to dominate in the higher education in Malaysia also appears to correlate with other societies worldwide. Prof Shamsul said all students must be taught the rigorous standards-based academic content that will enable them to be proficient. Yet, the reality of learner diversity challenges the system to provide rigorous programmes that meet students where they are academically, maximise their growth as learners and accelerate their learning to close achievement gaps. The conference was organised by UKM’s Centre of Excellence for Learner Diversity (CELD) under the auspicious of the Faculty of Education. CELD advocates research, networking, consultancies, intellectual dialogues and effective practices with regards to learner diversity. The ICLD is held biannually since 2008. In a statement CELD hoped education practitioners, academics and students taking part would rise to the challenge needed to respond to varied needs of stakeholders. It said the education setting especially has much to contribute in educating others to celebrate and honour diversity. Selected papers by the participants will be published in indexed and peer reviewed journals.